In keeping with the development of the times, ADTECH adopts the mode of “SCARA robot + automatic welding torch”to replace the traditional automatic soldering machine and manual operation, which has higher production efficiency than manual and the solder quality is quite stable. Each solder joint of the automatic soldering robot can be controlled within the manufacturer's specifications. Abstract: The introduction of the four-axis horizontal multi-shutdown robot for the solder industry. After the back end of SMT process, substrate is heated and soldered by the SMT patch and the reflow oven, but some parts still need to be soldered after the artificial plug. We take the connector as an example. As the product requirements are getting higher and higher, the spacing of the connectors is getting thinner and finer. The original artificial solder has a poor environment and unstable working conditions, resulting in higher and lower defect rates. The finest degree that the naked eye can distinguish is only 0.1mm, and more and more small parts are not suitable for the repeated processing after repairing. Most of the traditional solutions use the mode of “cartesian robot + solder head” to automatically solder. In the use of actual industrial field, this project has problems such as slow processing speed, large floor space, low flexibility, low precision, etc. When the soldering process demands are increasingly developing to high speed, precision and flexibility, traditional automatic soldering machines have failed to meet market requirements. 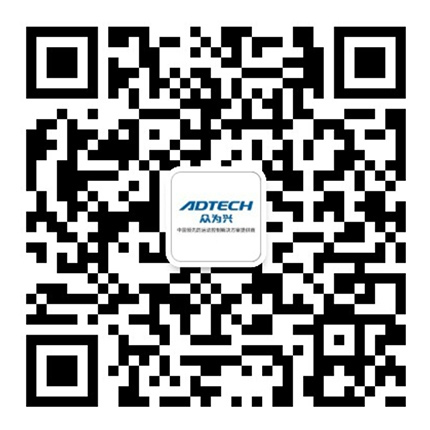 In keeping with the development of the times, ADTECH adopts the mode of “SCARA robot + automatic welding torch”to replace the traditional automatic soldering machine and manual operation, which has higher production efficiency than manual and the solder quality is quite stable. Each solder joint of the automatic soldering robot can be controlled within the manufacturer's specifications. The adopted SCARA robots is independently developed by ADTECH. It has characteristics of stable performance, high speed and high precision, and has been verified at many domestic customer sites.